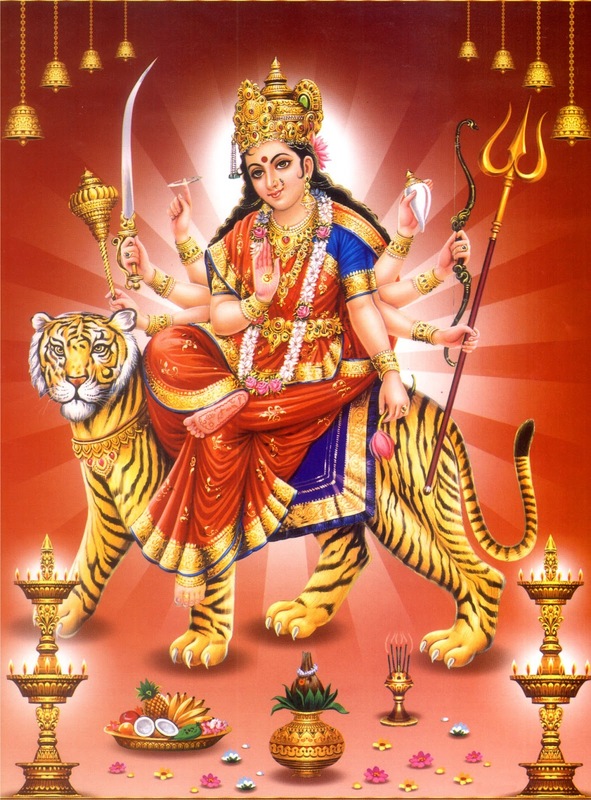 Goddess sitting or travelling on Tiger (Huli in Kannada ; Puli in Tamil) is known as Chamundeshwari Devi. 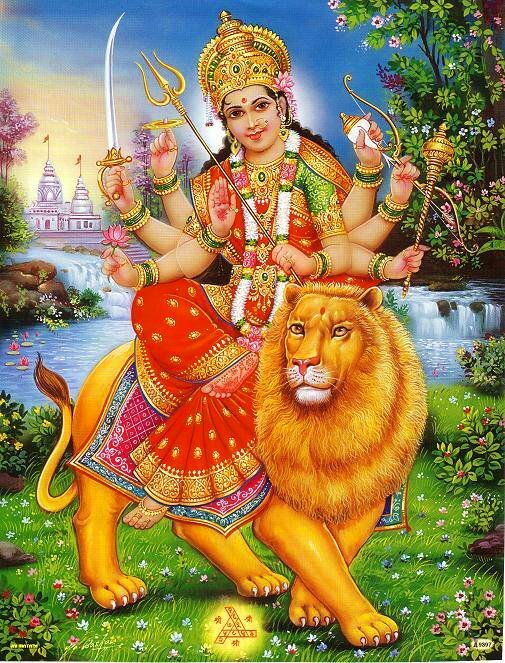 Goddess sitting or travelling on Lion (Simha in Kannada ; Singam in Tamil) is known as Durga Devi. 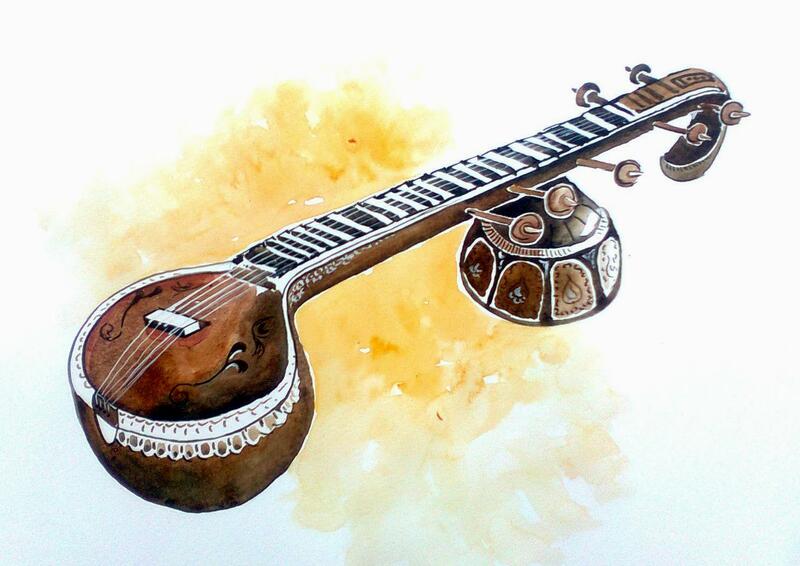 The Narada Maharshi is having a small musical instrument in his hands which is a support for his Voice, is called as Mahathi Veena and Bramha is also having a small musical instrument in his hands which is known as Vipanchi, and the instrument in Goddess Sraswathi is known as kachati (Saraswati Veena).